Can you imagine a world without trees? The importance of trees on the earth can not be overstated. The direct and indirect benefits are endless. They also provide tremendous beauty, a sense of peace and even joy. At the same time like many good things in this world of opposites they can be dangerous too. If a tree falls depending on its's size and weight it can cause severe injury to people and great damage to property and structures. For those who have trees on their property they can be a hazardous liability if not cared for properly. It is the owner who is responsible for the safety of trees on his or her property. ﻿As certified arborists we can quickly identify trees on your property that may be potentially dangerous. 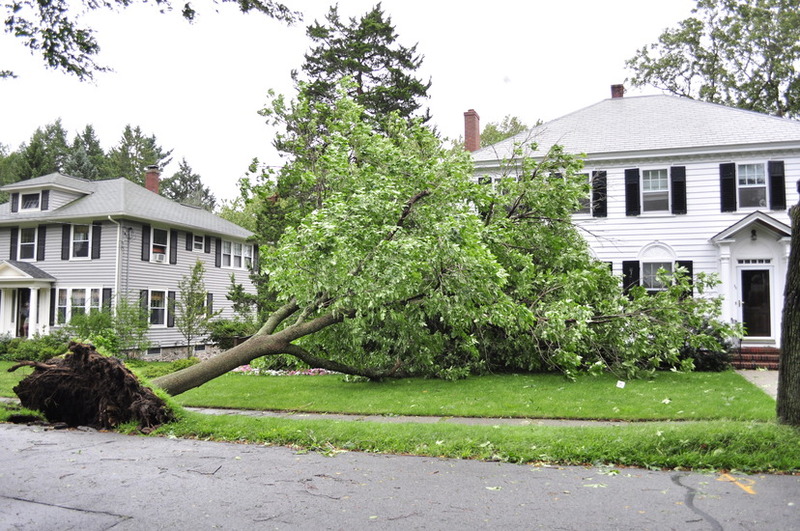 We can suggest steps to take to reduce or eliminate the chances of a tree coming down and causing personal injury to someone or property damage. In that way we can help you manage the potential risks of hazardous trees. ﻿Does the tree have any large dead branches? Are there any severed branches suspended in the tree? Is there any rot or hollow spots in the trunk or branches of the tree? Do you see mushrooms growing at the base of the tree? Do you notice any splitting or cracking anywhere in the tree? Have branches detached and fallen from the tree? Have any adjoining or neighbouring trees fallen or died? Has the trunk of the tree progressed to a pronounced lean? Has the tree trunk given growth to several large branches from one spot? Have you noticed an unusual color or change of size in the leaves? Has there been any change to the site of the tree such as adding soil or a new lawn. Have the tree roots been damaged by the construction of a new sidewalk, driveway, digging a trench or lowering the level of the soil?